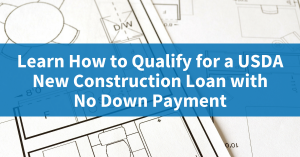 How do you qualify for a USDA new construction loan with no down payment? 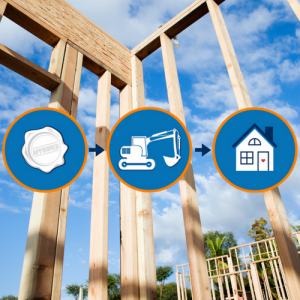 What are the steps to building a new home with a USDA construction loan? We all know that it can be an exciting process to build and customize your new home, but it is common for banks to require at least a 20% down payment. However, under the USDA Single-Close Construction to Permanent Loan there is No Down payment required and in today’s video I will break down the qualifying process to help you prepare for the next steps. 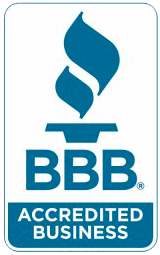 Remember though, the first step to any mortgage is a proper qualification and as a USDA Approved Lender that is what we do best, so just call or email to discuss your scenario, state a new pre-qualification, or take advantage of expert advice from our free Second Opinion Service (SOS). 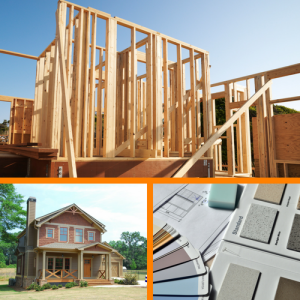 USDA loans allow for “No Down Payment” and this is the same for both existing and new construction which makes a big difference when a traditional new construction loan may require at least 20% down payment or more! USDA qualifications for property eligibility remain the same, which means that the property must be located within a USDA designated eligible area. USDA has county income limits based on household size that still apply, but because USDA has recently increased these county limits they do provide for healthy income levels to work with on a variety of price ranges. Last but not least, minimum credit qualifying and underwriting criteria is required as part of the approval process and while understanding your budget upfront is always important, getting properly qualified by an actual USDA Approved Lender is a critical step, especially when dealing with variables such as land and construction costs. Remember to just call or email to discuss your scenario and let us show you the “Metroplex” difference!